A business needs more than a localized storage capacity for security and continuity purposes. Today’s workforce is increasingly using mobile devices to access businesscritical data, and organizations with multiple locations require a centralized data storage facility to secure its assets. By outsourcing data backup to a reputable service provider, businesses are able to take advantage of the latest technologies and advances in encryption, disaster recovery, remote access, real-time protection and more. In addition, many of the headaches and risks associated with managing this critical area of your business are alleviated by working with a service provider that specializes in this area. 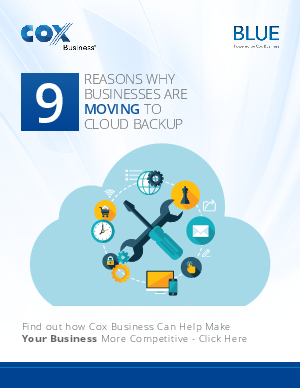 Businesses of all sizes are moving to cloud back-up in growing numbers, and the reasons are significant.